Richard Frazee is an Arizona native, born in Phoenix. He graduated from Arizona State University with a Bachelor of Science Degree, College of Engineering, Division of Construction, and immediately entered the general contracting world as an Estimator and then Senior Estimator with Sundt Corporation in Tucson. His next career move took him to Anderson DeBartolo Pan, an architectural, engineering and construction management firm also in Tucson. There Mr. Frazee began as Senior Estimator, moved to Manager of Preconstruction Services and then rose to Senior Project Manager. Mr. Frazee then entered the hospitality development field, joining Hualalai Resort Development Company in Kona, Hawaii. There he was Senior Project Manager in charge of the on-site design and construction activities of a 700-acre master-planned development, including The Four Seasons Resort Hualalai and the Hualalai Golf Club. He was then named Vice President of Resort Construction where he was the executive in charge of the continuing phases of luxury residential product at Hualalai. From his assignment in Hawaii, Mr. Frazee joined The Athens Group of Phoenix as Vice President – Construction, where he managed the design and construction of The Ritz-Carlton Bachelor Gulch Hotel in Vail, Colorado; The Ritz-Carlton Club at Bachelor Gulch; and The Ritz-Carlton Half Moon Bay in California. Mr. Frazee was the onsite project executive for The Ritz-Carlton Grand Cayman Resort for its owner, Condoco Resort Company of Grand Cayman, and the St. Regis Retreat Anguilla for Flag Luxury Properties of New York City. 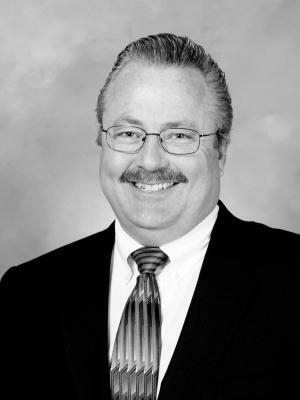 Mr. Frazee joined Greenbrier Southwest Corporation in 2005, taking on project management responsibilities for The Ritz-Carlton, Dove Mountain, an 850-acre resort hotel, spa, golf club and residential community northwest of Tucson. In 2008, he was named Senior Vice President of Development for the company. Mr. Frazee has also provided project management consulting services for a number of luxury resort projects including: The Ritz-Carlton Rancho Mirage, the Seville Beach Hotel - Miami Beach, the Montage Palmetto Bluff, and the Ritz-Carlton Paradise Valley Hotel and Residences.